The Chocolate Factory was a project envisioned within an old confectionery building situated in North London. 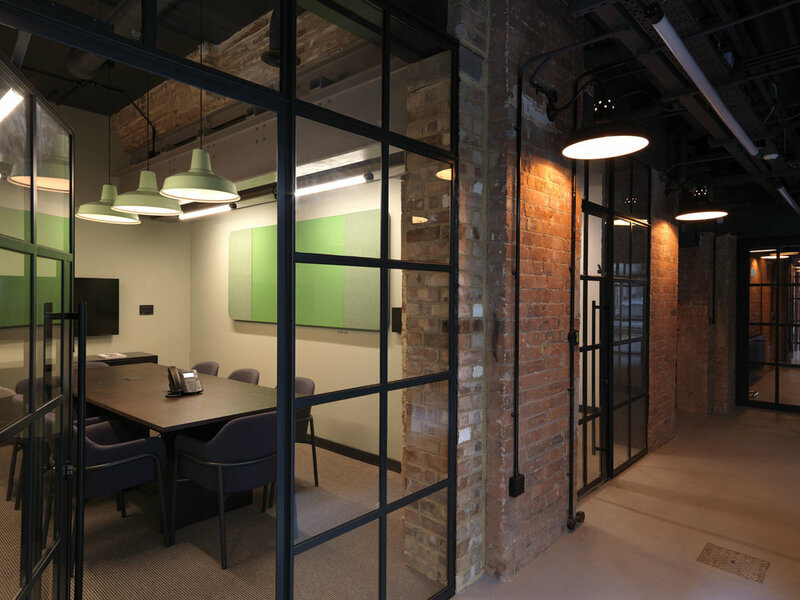 Our design approach was to connect with the building’s heritage, both in terms of drawing upon the rough and industrial materials on site, and incorporating the confectionery concept into design decisions. We exposed the original brickwork by sandblasting, for example, and created scaffolding banquette seats, upholstered in a glossy fabric resembling a candy wrapper. We employed a fun, clear graphical language throughout the building to aid navigation and inspire excitement.